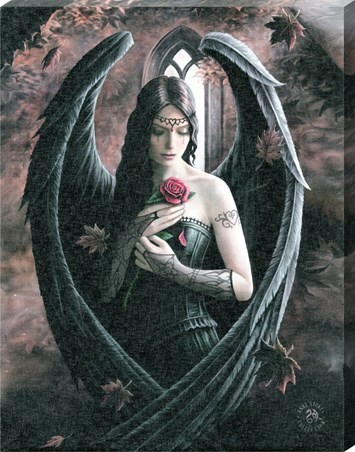 Art Canvas Print: If you are a fan of fantasy art then this gorgeous canvas print will make a stunning addition to your collection. 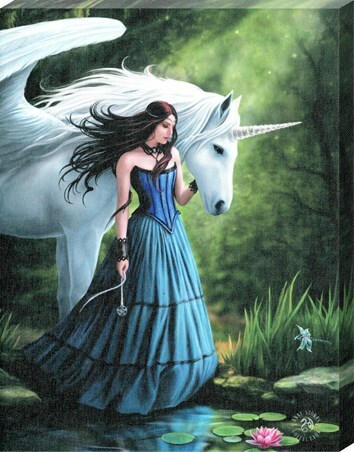 Featuring a piece of art entitled 'Glimpse of a Unicorn' this canvas is one of the many enchanting pieces by the British artist Anne Stokes. 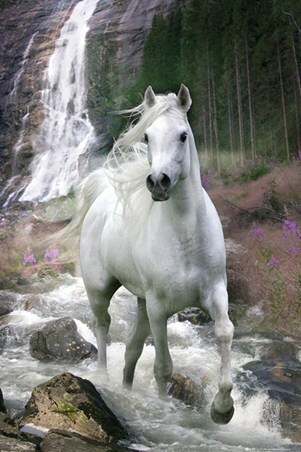 Standing alone in a sun kissed woodland, this white unicorn appears graceful and poised as she continues her adventure through the lands. 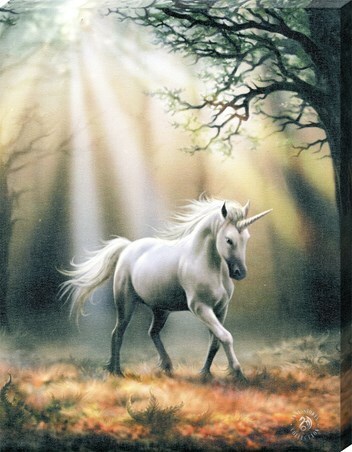 Surrounded by tall trees and crackling leaves, this mystical creature will brighten up any room in your home. 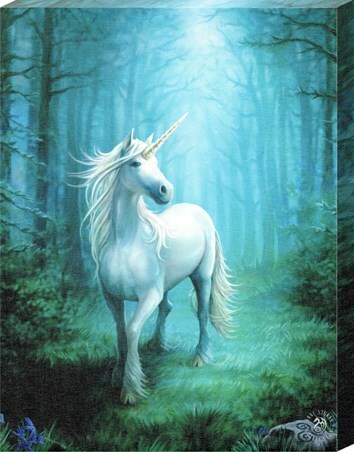 High quality, framed Glimpse of a Unicorn Canvas Print, Anne Stokes canvas print with a bespoke frame by our custom framing service.